Whether you are a bargain hunter, a fashionista or a window shopper you can create your very own shopping adventure in Frisco, Texas. Grab your wallet and your most comfortable walking shoes. Frisco offers the charm and convenience of a classic Texas town with metropolitan and modern amenities for the most discerning shopper. 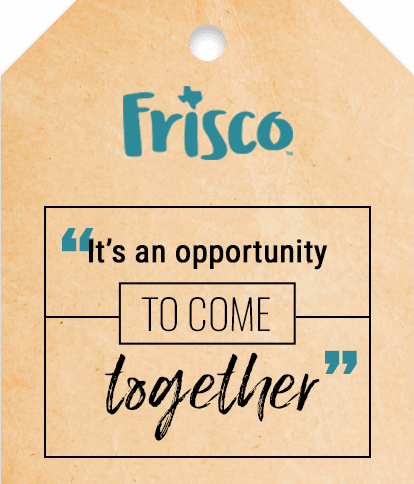 With more than 9 million square feet of retail space, the shopping in Frisco covers the same amount of space as three AT&T stadiums. With so much space for retail, you can choose from mom and pop shops, art and antique dealers, antique shops, posh boutiques and major shopping centers. It’s a shopping experience like no other. Boxcar House - One of Southern Living's "Best Boutiques in the South"
Take a leisurely stroll down the sidewalks of Frisco’s Main Street. The iconic red and white Frisco water tower stands tall amongst colorful shops with window displays of bridal gowns, women’s fashions and housewares galore. 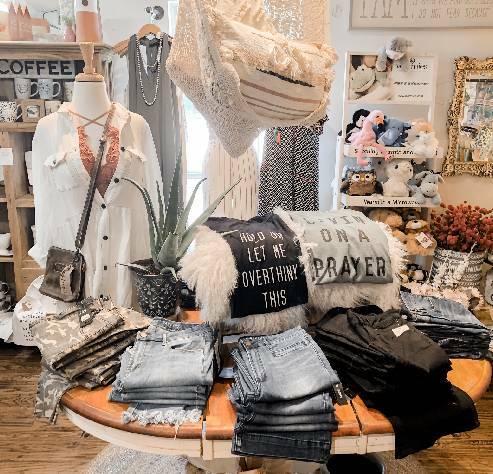 You’ll find yourself lingering frequently—Main Street shops such as Blue Door Boutique, Lillian Welch and Twisted Simplicity know how to roll out the welcome mat and make you feel at home. You’ll appreciate the way that Blue Door Boutique and their eclectic inventory helps you celebrate your most unique self. And what makes this place really stand out is their hospitality and personalized service that goes a long way in paying attention to the details. The staff is always accomodating and I was greeted with friendly smiles all around. You’ll enjoy this personal touch at all the retailers on Main Street. While shopping on Main Street, make sure to check out the Frisco Fresh Market, expected to open in summer 2018. With an open-air atmosphere, the market will encourage community and bring together 150 local farmers, producers, artisans, chefs and craftsmen in outdoor marketplaces. 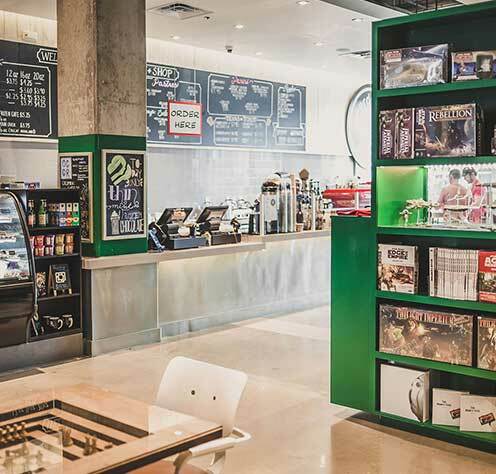 It gets even better—indoor market space will offer climate-controlled opportunities to discover new tastes. Restaurants, private event spaces and hotels give visitors plenty to look forward to. Ultimately, it’s an opportunity to come together enjoying what many of us love most: food! Less than 1 mile down the road is Frisco Square, adjacent to Frisco City Hall, and a place to live, work, eat, shop and play. You’ll find a, hip and metro feel as you walk down the tree-lined sidewalks of the Square. @Nerdvana.coffee+shop is a great place for a bite to eat and locally roasted coffee. The real shopping treat here is their large selection of curated board games such as Catan, 7 Wonders, Small World, Dominion and more. Found one that you can’t live without? You’re in luck—they’re also for sale. Every spring Frisco Square presents Arts in the Square, featuring artists selling handmade creations of fine art, pottery, textiles, glass, jewelry, leather, metal photography, wood and more. It’s a definite must-add to your calendar if you’re hunting for unusual gifts. And, don’t forget about Christmas shopping and holiday fun with Christmas in the Square and Merry Main Street, which allows kids to shop at Christmas in the Square for their families in a safe and controlled environment where nothing is over $5. Providing the ultimate in arts, antiques, collectibles and boutiques; Frisco Mercantile includes over 200 unique dealers in 38,000 square feet of retail space. Located near Main Street and Preston Road, you’ll have a blast discovering new and gently used jewelry, apparel, fashion accessories, home decorations, furniture, florals and eclectic treasures. It takes an entire day to explore everything this place has to offer! Check back in often as dealers frequently bring in new-to-you items. Go from the eclectic haven of Frisco Mercantile down Preston Road to a taste of modern and trendy with popular store brands. 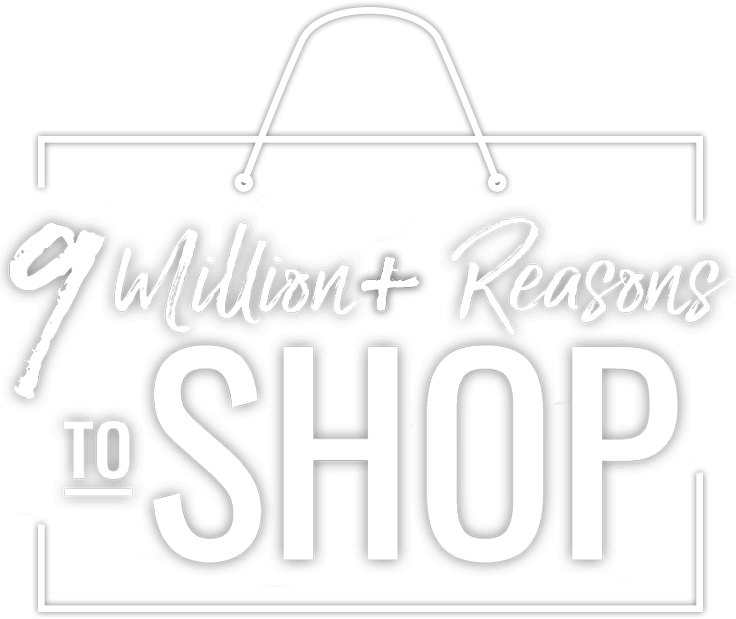 Treat yourself to a major shopping spree by visiting major retailers located at the Centre at Preston Ridge, which has over 100 stores like TJ Maxx, GameStop, Nordstrom Rack, Pier One Imports, J. Crew Mercantile and much more. You can find the brands you love and maybe even squeeze in some quality family time. My most recent shopping excursion included Payless ShoeSource for my son’s much-needed footwear updates. And since he quickly found his new shoes while I kept looking, he happily checked out GameStop next door until I was done. Having all these major retailers in close proximity to each other makes shopping for the most recognizable brands easy. And there’s an added bonus—it’s also convenient to restaurants such as Norma’s café, Mash’d or Gloria’s in case you get hungry carrying all those shopping bags around. 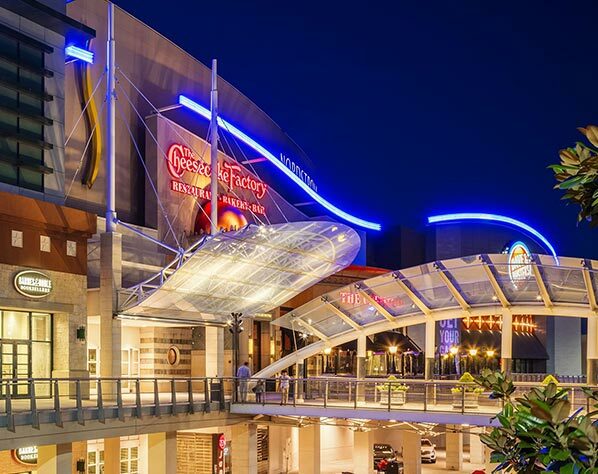 If you want a major shopping center destination, then Stonebriar Centre—the crown jewel of shopping in Frisco— is for you. It’s a favorite destination for my out-of-town relatives when they’re here—they always make it a point to stop at Stonebriar Centre. Kids and families love the play area, the mini train and the LEGO® Store. My tween and teens enjoy the AMC movie theater, Dave & Buster’s and a large number of shops that cater to their sense of style with 3:16, Aeropostale, Zumiez and Pacsun. Intrigued? Here are the facts: This indoor shopping mall has six major anchor stores including Nordstrom, Macy’s, JCPenney and Dillard’s. 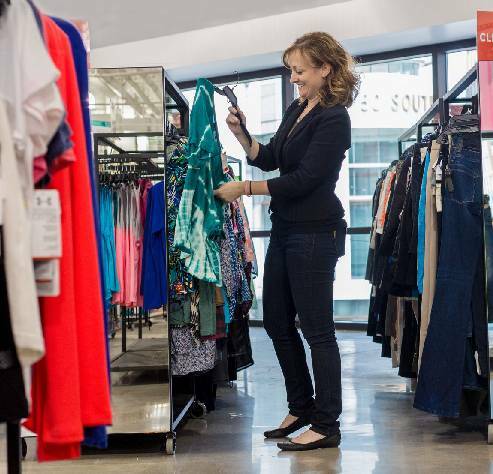 With more than 1.7 million square feet of space and more than 180 retailers, you are sure to find something for a brand-conscious fashionista or a budget-friendly deal. A few more of our favorite stores here include H&M, the Apple Store, Michael Kors, and Forever 21. A successful shopping trip for me means tons of foot traffic, people watching, window shopping and finally bringing home a trunk full of shopping bags. Stonebriar Centre delivers every time. After a day of shopping you can rest your tired feet and relax at The Hyatt Regency Hotel, a planned addition set to open in late 2019. The hotel will connect directly to the Stonebriar Centre and will be a great place to recommend to visiting family and friends since it’s close to everything. For visitors who love to shop and stay, they’ll love the convenience of this 15-story hotel ready to welcome you and your purchases at the end of a successful shopping day in Frisco. If you love to shop, you’ll want to discover all of Frisco’s retail choices. 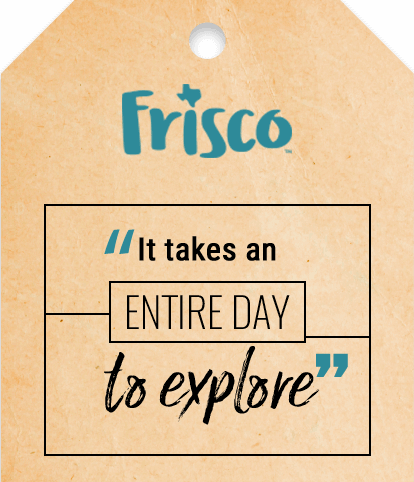 From unique, hard-to-find items to the hot-off-the-runway trends, Frisco has it all when it comes to shopping. Get ready to find just what you’re looking and having a blast during the search.